When is the right time to share my faith? How and where do I start a conversation? Am I forcing my belief on someone else? Will I be perceived as rude and obnoxious? I’ve recorded a study course to help you overcome some of those fears and help you answer those two main questions. It is really geared at helping you have more natural conversations with people who want to know about your faith. The focus of this course is conversation skills, particularly on noticing the right time to have a pretty normal conversations about your faith. 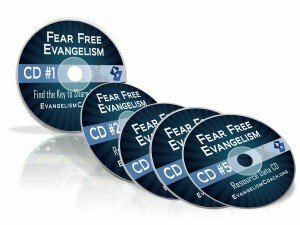 If your congregation doesn’t have an evangelistic expression, this is a great place to start training your members in how to cooperate with the Holy Spirit in personal evangelism.